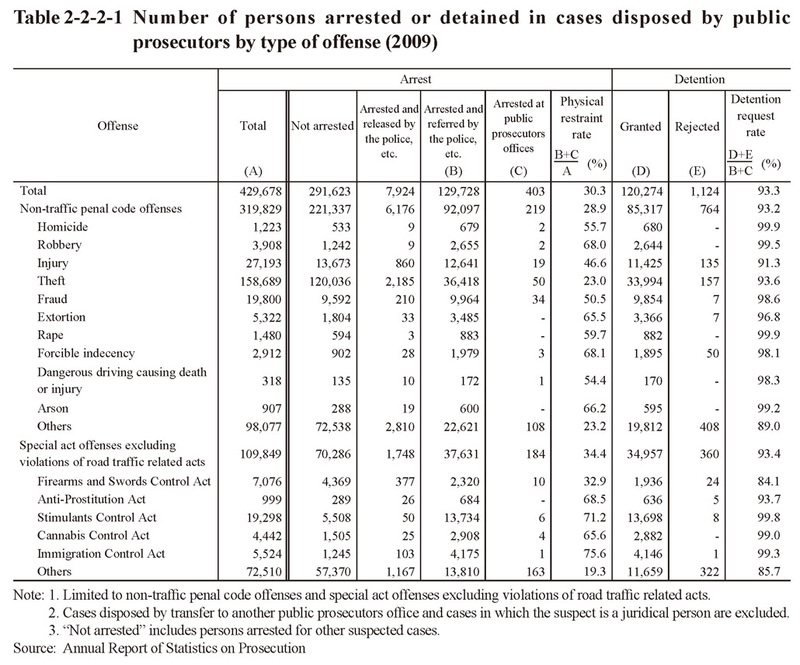 Table 2-2-2-1 shows the number of persons arrested or detained for cases disposed by public prosecutors (limited to non-traffic penal code offenses and special act offenses but excluding violations of road traffic related acts but including juvenile cases) by type of offense in 2009. The percentage of suspects involved in physical restraint cases (cases in which suspects who were arrested by the police, etc. 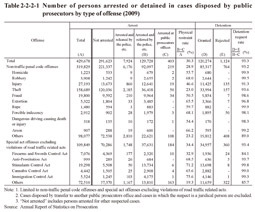 and referred to public prosecutors or arrested at public prosecutors offices) of all suspects, but excluding juridical persons (custody rate), was 30.3%. 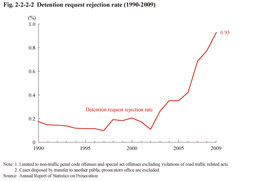 In addition, the rate of detention requests (the percentage of suspects whom public prosecutors requested to be detained of all suspects involved in physical restraint cases) was 93.3%. Fig. 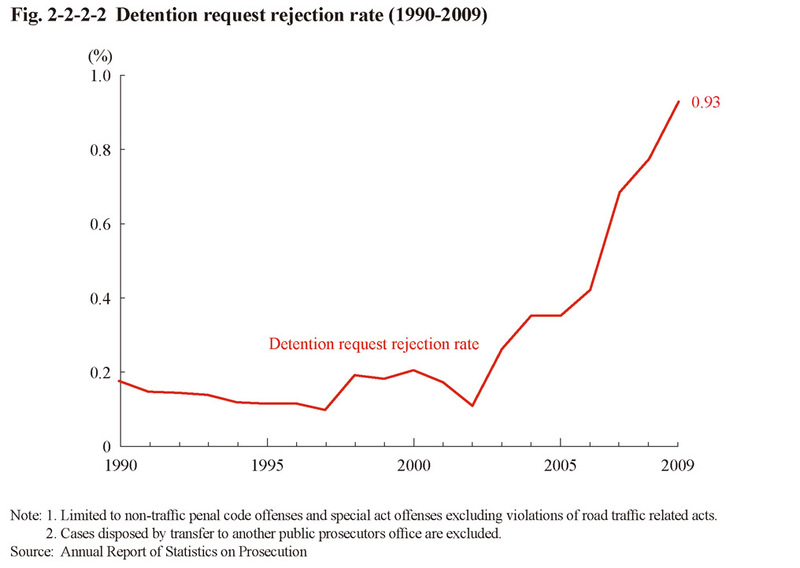 2-2-2-2 shows the detention request rejection rate (the percentage of suspects for whom a request for detention was made but which was subsequently rejected of all suspects requested to be detained) over the last 20 years. It has been on a rising trend since 2003.